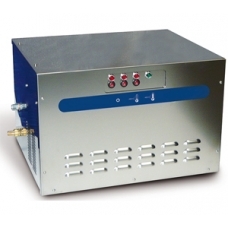 The ThermaFlow STATION is an electronic high pressure cleaner with unique features making it more sustainable and durable than diesel powered machines. It is unique to the industry as heat is generated after the pump in thermal tubes preventing any damage to the pump and seal life. Constant hot water of up to 80 degrees centigrade is generated without temperature fluctuations or heat loss and as no fuel is needed this means zero fumes and no emissions. Ideal for transport, motor trade and food industries – where high pressure fume free cleaning is required.